Not the best photo, but I love what the T-shirt says. 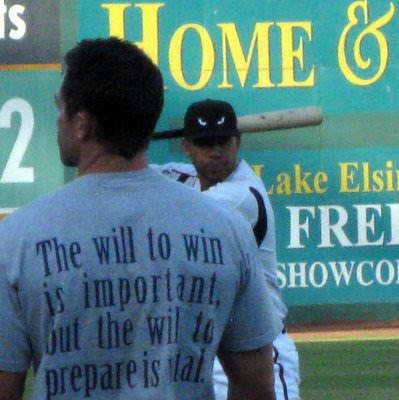 "The will to win is important, but the will to prepare is vital." The guy wearing the T-shirt is a physical trainer at the ballpark. Wonderful slogan. A good thing to teach kids!